Farrar Straus Giroux, 9780374298838, 227pp. When Megan Hustad was a child, her father uprooted their family from Minneapolis to embark on a cross-cultural journey in the name of evangelical Christianity. As missionaries they brought the Gospel to the Caribbean island of Bonaire and later to the outskirts of Amsterdam. After a decade away, they returned to the States only to find themselves more alien than before. The evangelical landscape had transformed from the idealistic, market-averse movement it was in the 1970s to one where media-savvy pastors held sway over mega-churches. As the family struggled with the economic and spiritual aftermath of their break from middle-class Middle America, Megan and her sister, Amy, began to plot their escape. Megan sets her sights on New York City, where everything she was denied as a child would be at her fingertips, and Amy makes her home among the intellectual swagger of New Englanders. But fitting in proves harder than they'd imagined. As much as Megan tries to shake them, thoughts of the God she was ignoring follow her into every party and relationship. In "More Than Conquerors," Hustad explores what happens when the habits of your religion coincide with the demands of your social class, and what breaks when they conflict. 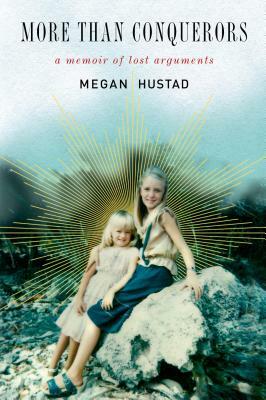 With a sharp tongue and deep insight, Hustad offers a vivid account of the cultural divisions, anxieties, and resentments that continue to divide our country and her own family. Megan Hustad has written articles, essays, and commentary for The New York Times, New York Post, Salon, Slate, The Big Money, The Daily Beast, The Awl, and American Public Media's Marketplace, and is the author of How to Be Useful. She has lived in Minneapolis, London, the Caribbean, and Amsterdam, and currently lives and works in New York City.